The State Collaborative on Reforming Education has released this statement from President David Mansouri on Tennessee’s draft implementation plan under the Every Student Succeeds Act. Tennessee has an opportunity with the Every Student Succeeds Act to create a unique, Tennessee-specific approach that will build upon the work already underway to support our students in greater and faster academic growth. The Tennessee Department of Education has taken a thoughtful, inclusive approach to writing the draft plan, engaging thousands of Tennesseans in the development process. 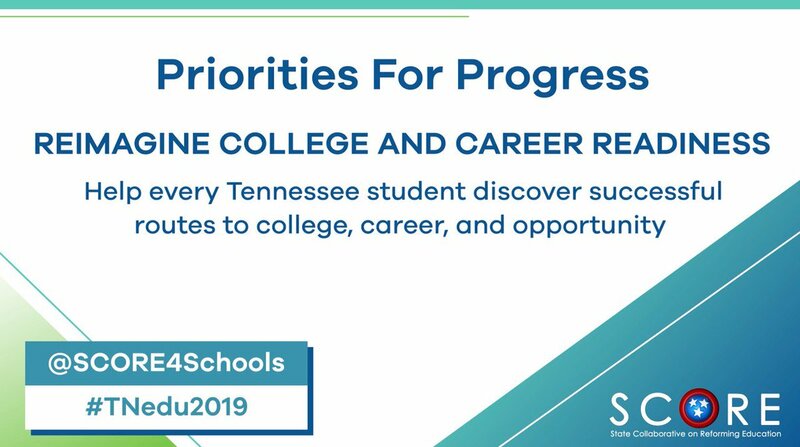 SCORE will review the draft from the student-focused perspective of how quickly it will move Tennessee toward the goal of preparing all graduates to be ready for education beyond high school and for work. Our review will pay particular attention to school accountability, school improvement, and delivering excellent and equitable outcomes for students of all backgrounds because of the impact these issues can have on student achievement. We will offer detailed feedback to the department, and we encourage education partners across Tennessee to review this plan through the same lens and offer feedback as well.